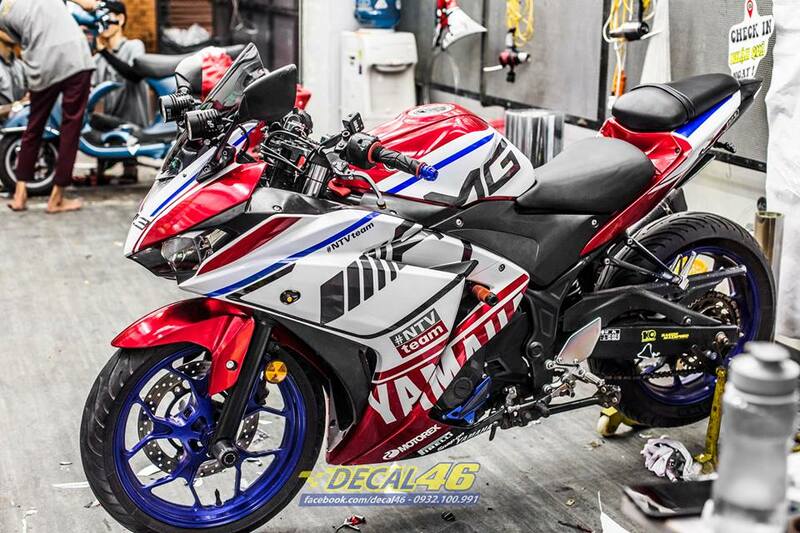 Yamaha R3 AMG Edition by Decal46 from Vietnam is definitely the hotshot product that you have been waiting for a long time. 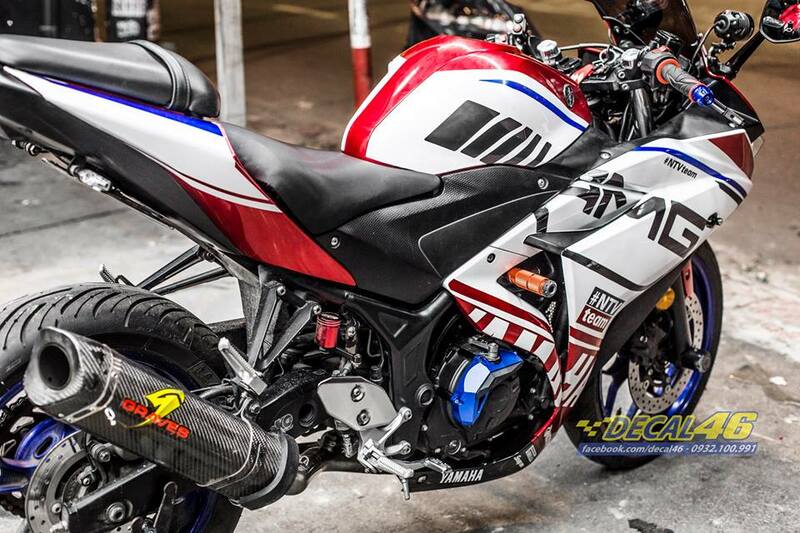 The motorcycle features White/Red wrap with blue inserts for further highlights. 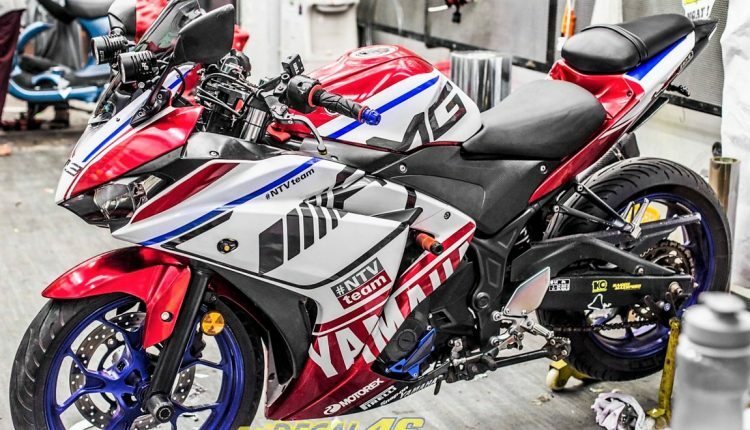 The side fairing comes with AMG, Yamaha, Pirelli, and several other brandings while the front features a Ninja-inspired splitter in one of the image. The motorcycle loses its stock exhaust for this custom unit with carbon fiber finish. The addition of frame sliders completes this package. 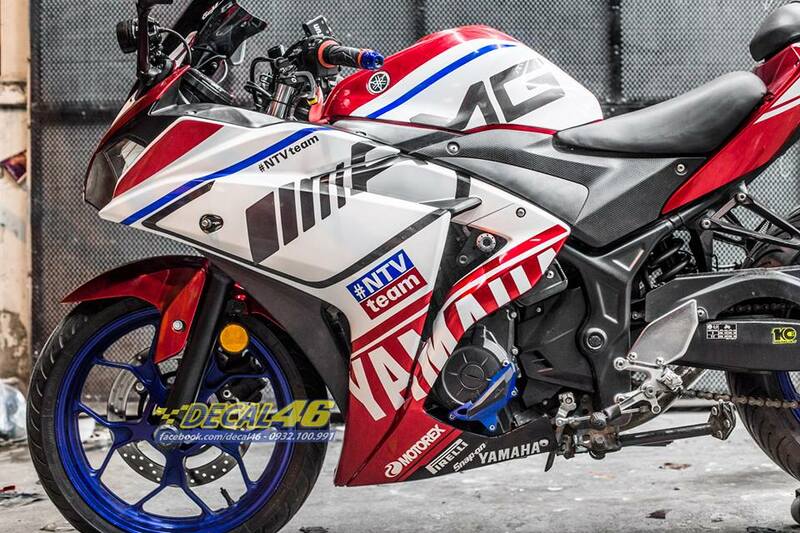 Yamaha offers the R3 in Racing Blue and Black shade in most countries, with several South Asian countries also getting the 2019 variant listed on the official website. 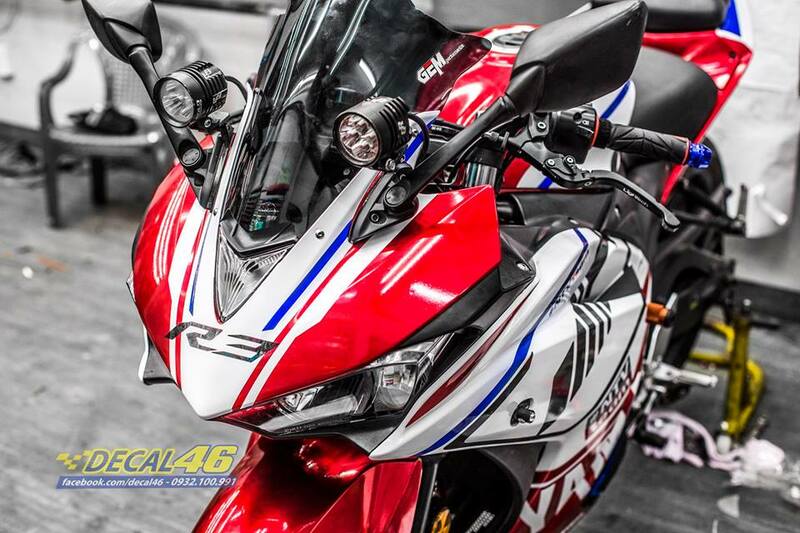 The new model comes with R15 inspired LED headlights while all existing models are available with halogen lights. The standard forks used here have also been replaced with USD forks on the 2019 variant. The AMG Edition comes without a front and rear number plate holder, two additional lights on the front fairing and smaller than usual turn indicators on both front and rear end. R3 is powered by a 321cc, twin-cylinder engine, producing 42PS of maximum power and 29.6 Nm of torque. The 2019 variant also uses the same engine. The position of clip-on bars on the AMG Edition stays stock while 2019 variant comes with re-positioned bars for an impressive sporty position. The India-spec R3 is available with standard dual channel ABS for INR 3.49 lakh. 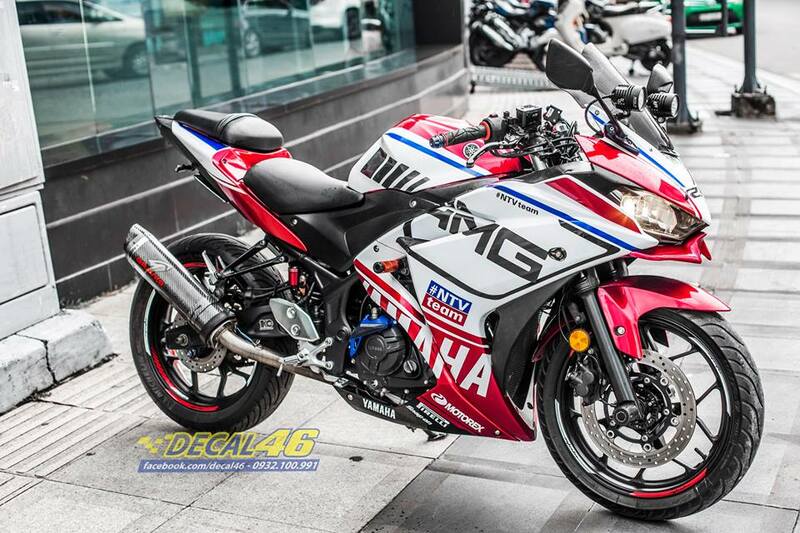 It rivals none other than Kawasaki Ninja 300, which itself is priced very effectively at INR 2.98 lakh.